This is not just a HUD though. 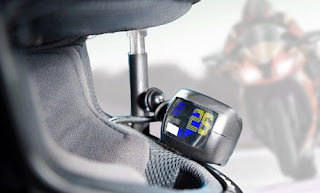 The Skully AR-1 has a reverse camera setup providing true rear view for the rider and GPS. F**cken wow! It’s a breakthrough in development for motorcyclists, but the question remains will it cut through to the mainstream with us, the riders who buy this stuff? Will they be able to get it into reliable production and keep the cost down? Will we, the motorcycling community, adopt it and switch from our Shoeis and Arais to wear a Skully with all that jazz? Like electric motorcycles, I see this as a technology that is no ‘silly gimmick’ at all. Like portable GPS units for cagers, at first they were super expensive and only for the rich but over time they have gotten progressively smaller, lighter, more effective and affordable. Portable hard drive anyone? Ten years ago thinking I could buy a 3TB portable hard drive for $150 was about as believable as meeting the caterpillar from Alice in Wonderland. Nowadays GPS units are mostly integrated into dashboards in new cars but everyone from Aldi to JB HiFi also sell them at very reasonable prices. They have become standard issue. The question I want answered is, will this happen for in-helmet comms, gps and reversing cameras as well? 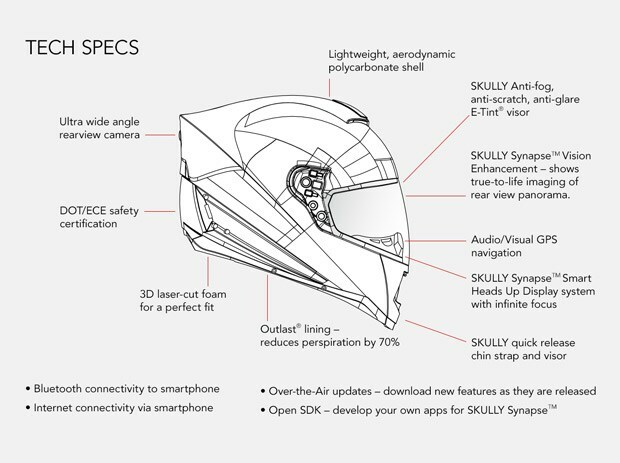 Surely with Skully raising $2.2M the big companies are looking at this as R&D into their own helmets? 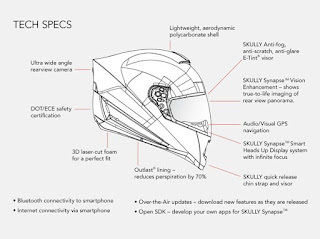 I can’t work out why there isn’t a Shoei or an Arai that I know of that doesn’t have a bare bones integrated bluetooth phone connection at the very least already. Much like my epiphany around in-helmet comms recently, I think once we all trial this technology we are all going to be scratching our heads going ‘why didn’t this happen sooner?’ The thing I like most of all though, out of everything this incredible looking helmet has and does, is the instant tint screen, from clear to black in flash. That's cool. Just this week the took the final pre-orders for the first drop of helmets! Can't wait to hear/read some real world reviews from users. 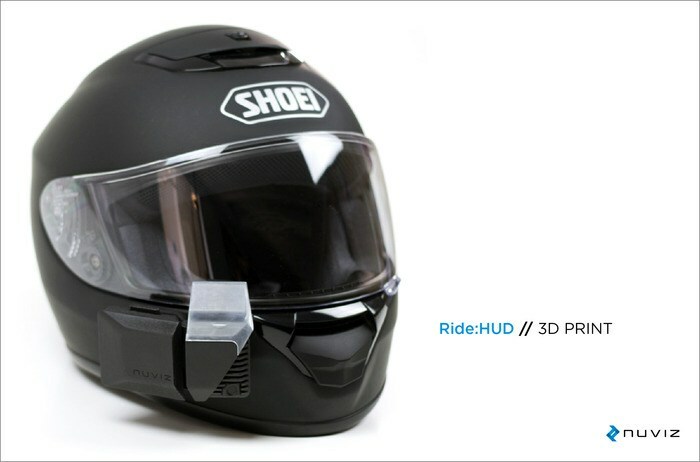 There is the race to be the so called ‘first’ to have a HUD that you CAN put in any helmet, most notably that I am aware of are the NuViz and the Bike HUD. 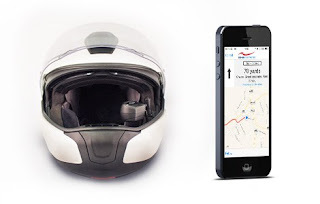 The Nuviz is a HUD that can mount to the outside of any, helmet and shows the most promise in my books, Steve and I both backed this one on Kickstarter as, speaking for myself, I saw the potential more in a retrofittable device vs a helmet system. Surprisingly they raised significantly less than Skully with a total at time of writing, of $200k. The hard thing to envision with any of these new HUD systems is exactly that. Vision. What does it look like? How perceivable is the HUD info? Where is it placed? How transparent, how adjustable, what if you wear glasses, have poor eyesight, how much wobble does it suffer at speed etc etc. All of which I am sure every company mentioned has done plenty of testing on as well, but it comes down to experience. You need to SEE this technology in action for yourself. As with Google Glass, a version of wearing HUD that provides this sort of experience, I couldn’t imagine it until I was actually able to wear one recently at an event. It is less mind blowing than you might expect. Having a HUD in a cage hasn’t really taken off in any sort of major production way that I can think off, yet many have tried. And on a global economic scale if it doesn’t work in a cage, then there isn’t enough money to be made out of us motorcyclists, so I am very grateful for the efforts of all companies mentioned for their dedication to making something for us, and us alone. The Nuviz team are a combination of incredible talent out of Holoeye - focussed on innovative display technology for aerospace, military and science applications - and APX Labs - a software and mobile device development firm, so I feel like we are in good hands and all early signs point to an excellent product. I'm up for it as it's portable and retro-fittable to any helmet. Not sure what these guys are up to right now, haven't heard from them in a while. Lastly is the Bike HUD. Developed by some mob in the UK, the Bike-HUD is actually available for purchase right now for $600 USD. That took me by surprise actually as it just means that it has taken me a really long time to finish this post! This HUD though, fits on the INSIDE of your helmet and that alone puts me off. I can barely share my helmet inner space with the new flat mic that is mounted directly in front of my mouth let alone something, anything, jutting out in front of my eyes. You can see that this devices sits inside your screen and then rather than projecting something out in front of your sight, it provides a small LED screen that you can (?) glance easily at. That's not truly proper HUD, is it? I’d be really interested in hearing from anyone who has forked out the cash on one of these units. In this video representation of what it looks like you can see the Bike HUD is the more basic display of the 3. It also requires fitting. And by fitting I mean an electronics unit needs to be fitted to your bike, and a sensor wire gets wrapped around your coil, much like the RPM sensor in the Vapor Tech Trail Dash and additional side stand, neutral and main beam connections, so this kit might be retro-fittable to any helmet like the Nuviz, but it isn’t plug and play. I’m sorry to say but Bike HUD has already jumped the shark in v1 iteration, let's hope for big jumps in progress for v1. So there we have it folks, three HUD units all dedicated to motorcyclists, viva la technology! Will you be investing in a Skully, Nuviz or Bike-HUD?